Sarah was born in Walpole, MA and attended Walpole High School and graduated from St. Michael College in Vermont, and Johnson & Wales in Rhode Island. Sarah has been involved in the tennis industry for many years, in management, coaching and training. This includes Midtown Tennis Club in Chicago, Pine Brook Country Club in Weston, MA, The Belmont Hill Club, The Natick Racquet Club and The Charles River Country Club in Newtown, MA. Many islanders have interacted for many years with Sarah at the Siasconset Casino Club as Assistant Manager and Tennis Professional. This association with ‘Sconset has made her transition to working in our wonderful Village of ‘Sconset an easy one. With her management skills and people skills, she is a welcome addition to our ‘Sconset Real Estate office in the Post Office Square Building. Her interests include boating, platform tennis, fishing and cooking and her dog, “Ollie”. Stop in and visit Sarah for Rentals and Sales discussions. 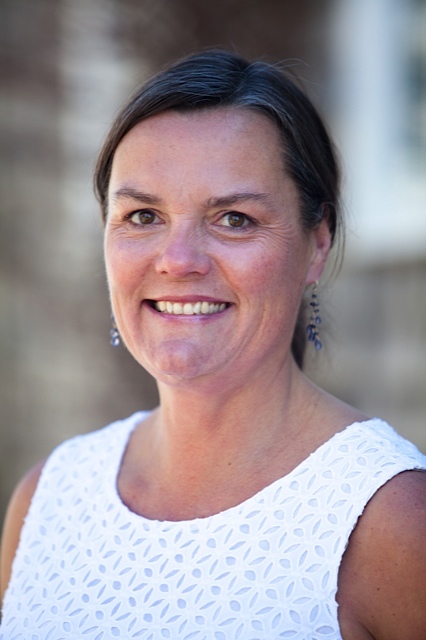 Sarah is a salesperson and member of LinkNantucket, and Nantucket Association of Real Estate Brokers.